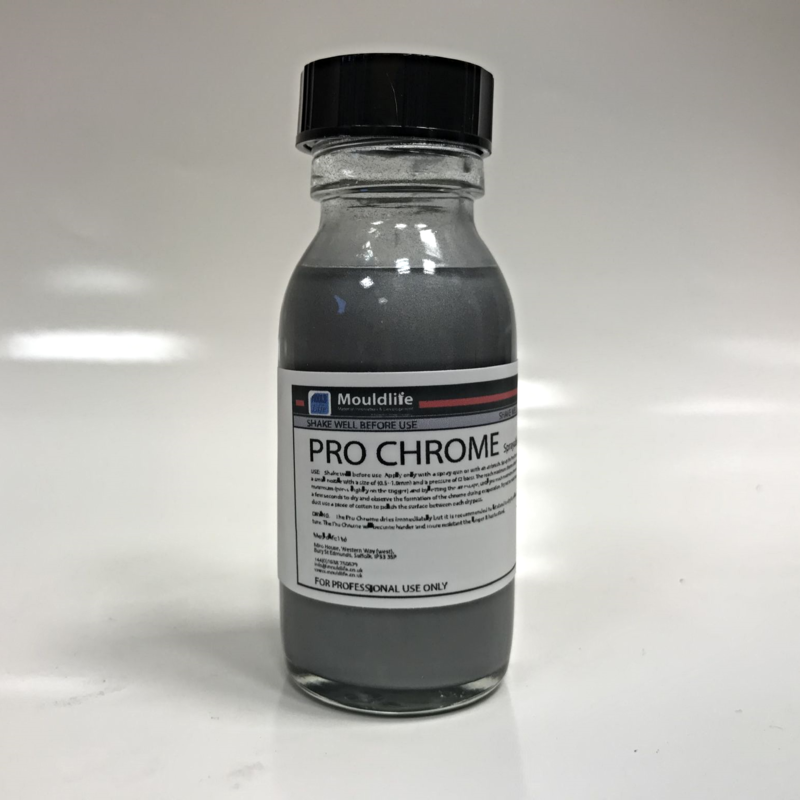 Pro Chrome is a sprayable chrome paint. Use Pro Chrome to achieve mirror like effects. Application: Shake well before use. Apply only with a spray gun or with an airbrush. Spray the Pro Chrome with very thin passes, use a small nozzle with a size of (0.5~1.0mm) and a pressure of (2 bars). The reach maximum chrome effect Reducing the paint flow at the maximum (press slightly on the trigger) and by letting the air escape, until you reach maximum chrome effect. Between each pass allow a few seconds to dry and observe the formation of the chrome during evaporation. Try not to make the coats too thick. To remove any dust use a piece of cotton to polish the surface between each dry pass. DRYING: The Pro Chrome dries immediately but it is recommended to let stand to dry for at least 24 hours at room temperature. 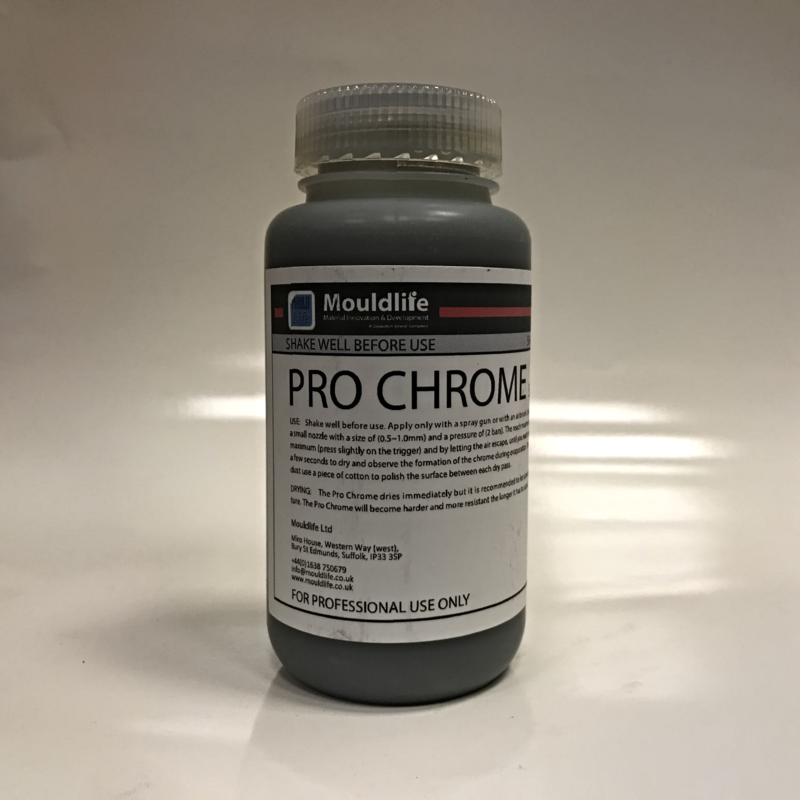 The Pro Chrome will become harder and more resistant the longer it has to stand.